According to what is reported by FcInterNews.it, Sassuolo are not ready to accept technical counterparts in exchange of lowering the value of the redemption right that Inter has for Matteo Politano. So, if the Nerazzurri decide to redeem the winger, they will have to honor the commitments made last summer and put down the 20 million euros agreed to the club in the loan contract. At this point, changing Sassuolo’s management’s mind would be quite difficult in the near future. Of course, Inter and Sassuolo could talk about other players, most likely Alfred Duncan and Jens Odgaard, but it is likely that other names can come out in the various appointments that there will be between the two clubs that will be decisive in this case. Meanwhile, Politano continues his season in the Nerazzurri shirt, where until now as he made26 total appearances, Champions League and Tim Cup included, scoring 2 goals and providing 4 assists in the 1804 minutes he played, often being one of the best players in the Inter side..
Born in 1996 and Interista since then. 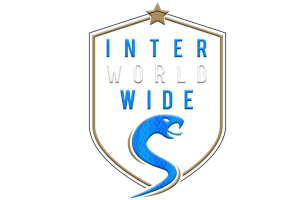 Writer and Marketing consultant for Inter Worldwide. Member of Inter Club Morocco, I confirm the worldwide aspect of our brand by representing Africa and the Arab world. Mauro Icardi: Leader or Leech?